Motorola's Moto G6 64GB is probably one of the better mid-range Android smartphones, and now it's on sale on Amazon for nearly 30% off. Both unlocked and Prime Exclusive models have been discounted for a limited time, but, as you can imagine, the latter is much cheaper than the former. 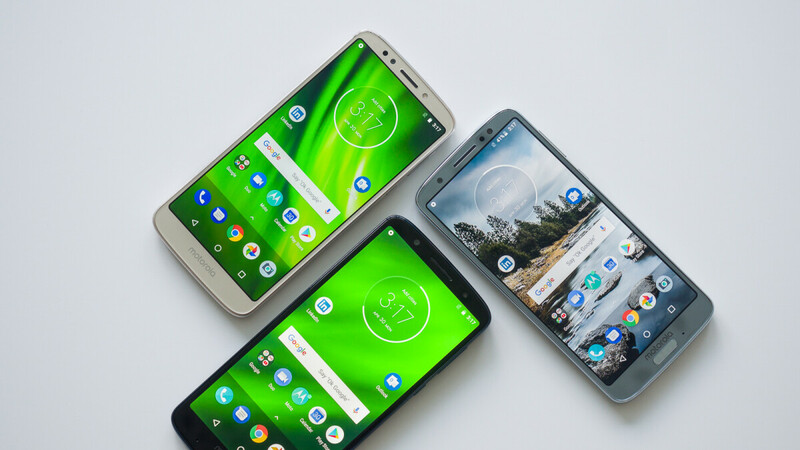 It's worth noting that the unlocked and Prime Exclusive versions of the Moto G6 work on all major carriers in the United States, including AT&T, Sprint, T-Mobile and Verizon. One other important thing that you might not be aware of is that the Prime Exclusive model comes in Deep Indigo, while the black version of the unlocked Moto G6 64GB has the biggest discount ($90). Obviously, these phones will arrive after Christmas if you order them now, but they're quite cheap and reading our Moto G6 review you'll learn they're worthy. If you choose the Prime Exclusive model, which is usually available for $300, your phone will come pre-installed with some Amazon app like Widget, Shopping, and Alexa. The unlocked model that's usually available for purchase for $320 offers a much cleaner Android experience. However, specs-wise, both Moto G6 64GB models are similar, so there's no point in looking at that before you order.